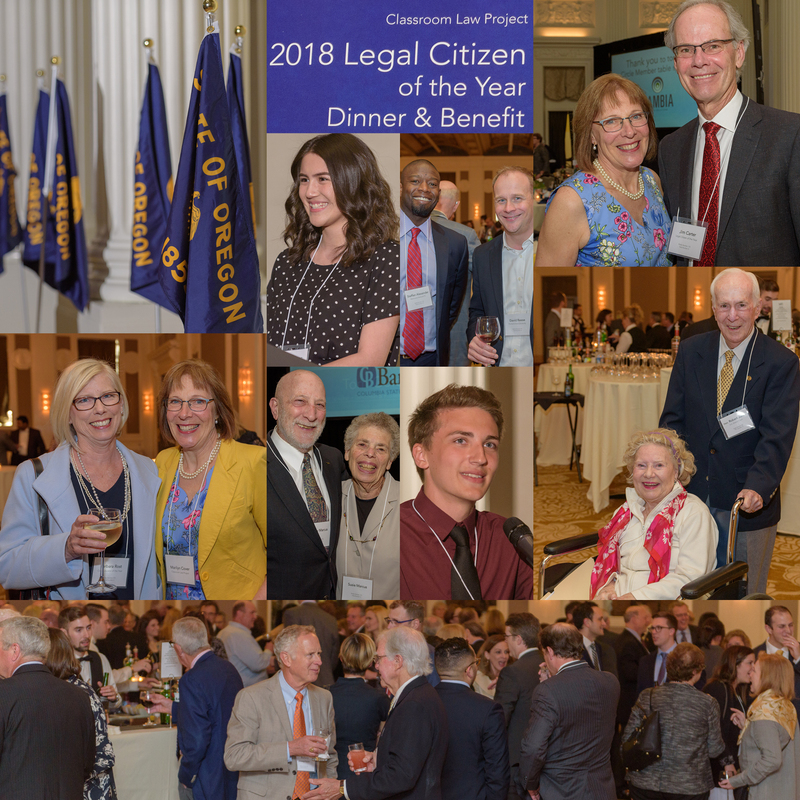 Everyone had a wonderful time at this year’s Legal Citizen Dinner and Benefit. 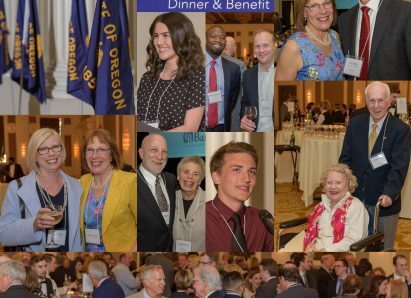 Over 430 people showed up to honor Legal Citizen of the Year Jim Carter, a lifelong proponent of civic education, longtime supporter and board member of CLP, and inspiring example of personal commitment to community action. We also had the chance to recognize Civic Educator of the year Barbara Rost who retired from CLP in January after 20 years. Her commitment to making our programs the best in civic education is instrumental in CLP’s reputation around Oregon and the world. Special guest Tom Goldstein also offered his observations about the state of the U.S. Supreme Court, building on the Conversation he hosted earlier in the day. A big thank you to everyone who attended, celebrating these special people and helping us raise over $100,000 to support CLP’s work in the coming year.